Justin Rose and Henrik Stenson cannot stop raving about the event – obviously, they have biased opinion – but the debate continues whether golf should remain a part of Olympics. As someone who has been involved with Asian and Indian golf for nearly two decades now, I am convinced it is a great move, something that is definitely going to grow the game. The three Indians who were part of Rio 2016 – Anirban Lahiri, Shiv Shankar Prasad Chawrasia and Aditi Ashok – will have several anecdotes to relate on how their lives have been affected. And all of these show how much Olympic golf means to a country that has one-sixth of the world population. Take the case of Lahiri. The world No75 hurt his shoulder while playing the Open Championship in July, and was nowhere near his best when he missed the cut at the PGA Championship. The doctors clearly told him he needed to stay away from golf and rehabilitate for three weeks. But that would have meant missing the Olympics. And if he did play Rio, he’d miss the lucrative FedEx Cup Playoffs on the PGA Tour. Of course, he was outside the top-100 after the PGA Championship and since he wasn’t planning to play any of the regular season events because of the Olympics, there was also the chance he’d fall beyond 125 after the Wyndham Championship and lose his PGA Tour card. But as the 29-year-old himself puts it, going to Rio was “a no-brainer”. India is hardly the most sports-oriented nation in the world, but a billion people do wake up and take notice of non-cricket events every four years. And Lahiri wanted to make sure golf got a proper introduction for his people back home. He played, and is now paying the price by having to forego his spot in this week’s The Barclays. At least he is lucky to have retained his card for 2016-17 – finishing the season No117 on the FedEx Cup. If Lahiri showed how much Olympic means to the players, Aditi and Chawrasia experienced what Olympics can do for the sport. Chawrasia’s is an amazing rags-to-riches story, not just in golf, but in entire contemporary Indian sport. 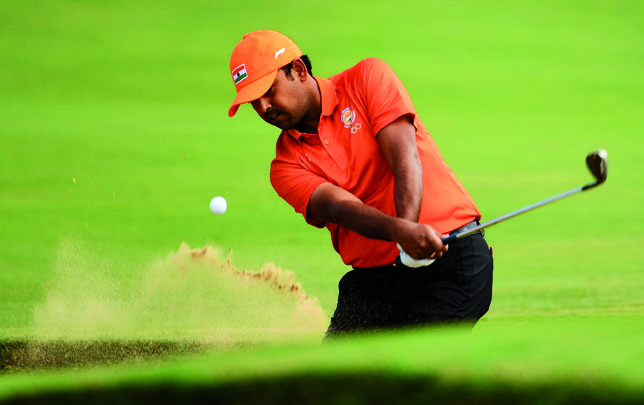 The son of a greenkeeping staff at Royal Calcutta Golf Club, he is now a three-time European Tour champion. And yet, all his previous accomplishments could not get him any grant from the government, or recognition from the non-golfing community. Thanks to Rio, he got both. Not only did he receive a small but tidy sum in order to prepare for the tournament, he was also publically felicitated in his hometown Kolkata after returning from the Games. The 18-year-old Aditi was a revelation. The world No462 actually led the tournament halfway through the second round, despite the field featuring the cream of ladies professional golf. She did not have the best of finish and slipped to tied 41st in the end, but her performance generated massive interest back home. Just to give an example, she had a few hundred followers on Twitter before Olympics. A week later, the number is 11,000 and growing, and her account has also received the coveted blue tick. On Thursday, the second day of the women’s competition, she was the third most trending topic in India. More importantly, according to the Indian Golf Union, a few young girls have already approached various golf clubs, hoping to follow in the footsteps of Aditi. Veteran Jim Furyk, who did not start his season until May this year because of a wrist injury, is making a strong case as one of the wildcard picks for the American Ryder Cup team. A round of 58 always helps, which was shot by the 46-year-old in the final round of the Travelers Championship, and he then backed it up with a tied 10th place at Wyndham Championship last week, where he opened with rounds of 66 and 64. The fact remains that Furyk has won just once since the 2012 Tour Championship (the 2015 RBC Heritage), and does not have the best Ryder Cup record. He is 10-20-4, which translates to a dismal winning percentage of 35. Furyk is currently 15th in the Ryder Cup qualification standing, He is obviously playing well at the moment and he does have the respect of the players and captain Davis Love III. This week’s Barclays is going to be crucial. I have a feeling that if he finishes inside the top-five, Furyk will get the nod. It was inevitable that the hugely talented Si Woo Kim was going to break through sooner rather than later on the PGA Tour. He did so in wonderful fashion by winning the Wyndham Championship after shooting a round of 60 in the tournament. Congrats to Si Woo Kim on his Wyndham Championship win! 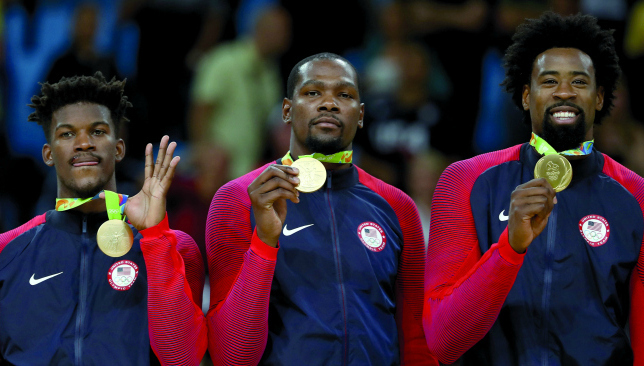 Shining moment: (left to right) Jimmy Butler, Kevin Durant and DeAndre Jordan celebrate with the gold medal. USA’s journey to an 18th Olympic gold medal in men’s basketball was far from impressive, but their arduous road in Rio was an overall positive for the sport. podium, meaning the history books will chronicle a flawless campaign at the Games, not a somewhat turbulent voyage which included a few scares. In the minds of those who followed their run, however, USA will be remembered as a good but not great team who did just enough. They weren’t at full strength as they were missing some of the game’s brightest superstars and didn’t have the best cohesion on the court. Yet, as discouraging as it was to see the evident flaws of what should have been a more dominant squad, it made for entertaining viewing. There was actual competition and some drama sprinkled in during their close calls against Australia, Serbia, France and Spain – a 10-point win, three-point win, three-point win and six-point win, respectively. USA eventually brought their best for the rematch against Serbia in the gold medal game, triumphing by 30 points, but the enjoyment of watching Kevin Durant catch fire and a suffocating defence wasn’t as fun as watching the Americans be challenged in their earlier contests. From an American perspective, the Olympics is a perfectly appropriate time for some good old-fashioned nationalism, but at least there was more of a desire to see USA pushed than there was to see them win. Part of it, admittedly, was wanting to avoid a predictable outcome, but mostly it was a hope to see the sport continue to flourish across the globe. Because USA’s games were closer than usual, it can only mean there’s more talent blossoming outside of the States, resulting in an influx of talent into the NBA, which in turn only strengthens the product. It’s a win-win for everyone. To be fair, it’s a bit of a ‘chicken or the egg’ conundrum. Did USA not play well or are their international opponents closing the gap? If you take a look at the recent NBA draft in June, the fact that 28 international players were selected – the most in history – and 10 foreign prospects were taken in the first 16 picks, suggests the latter. Other nations should only continue to develop on the hardwood too, with young NBA’ers like Rudy Gobert, Dario Saric, Mario Hezonja, Ben Simmons and Andrew Wiggins all expected to lead their respective countries at Tokyo 2020. But what about the Americans? How does the gap closing or their drop in play – depending on how you see it – help them, at least on the international level? Simple, it means they can’t be complacent. Competition breeds excellence and if USA want to remain dominant, they’ll have to take playing in the red, white and blue more seriously. The end result will be basketball being in a better place than ever. 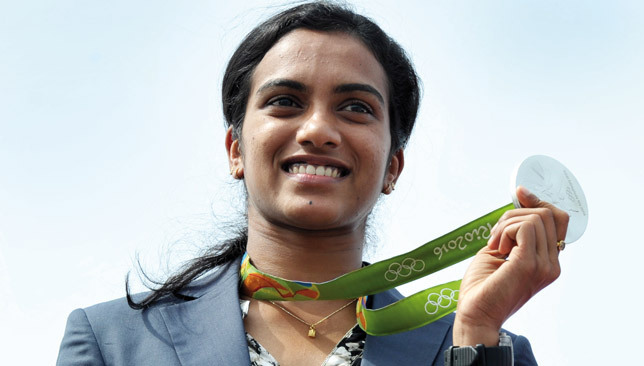 PV Sindhu claimed silver in badminton at the Rio games. 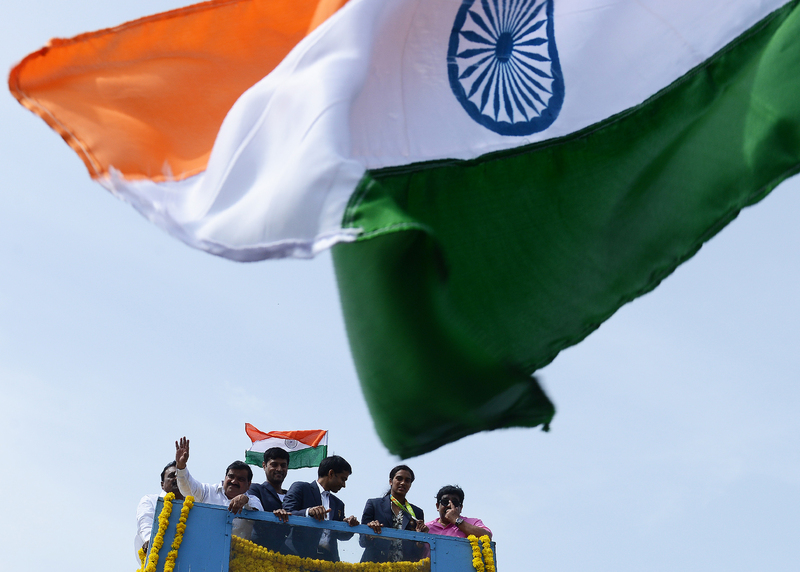 India went to the Rio Olympics with its biggest ever contingent – 119 – and carrying high hopes. Since the 2008 Beijing Olympics, where shooter Abhinav Bindra won the country’s first individual gold, there had been a steady rise in the profile of non-cricket sports, namely shooting, badminton and wrestling. India bagged three medals at the Beijing Games and six at London. With some of the top medal prospects in good form, it was expected that the medal tally would be closer to 10. For a country the size of India, that is a shockingly low target but given that the nation doesn’t have a strong sporting history outside of cricket and hockey, they were realistic expectations. But the team fell short by a considerable margin. Two medals – PV Sindhu’s silver in badminton and Sakshi Malik’s bronze in 58kg freestyle – is all a country with a population of 1.2 billion bagged. And even those were surprise results and cannot make up for the failures of the main medal prospects. Admittedly, Bindra finished fourth in the 10m air rifle finals, missing out on a medal by a whisker, while the tennis mixed doubles team of Sania Mirza and Rohan Bopanna lost the bronze medal play-off and gymnast Dipa Karmakar finished fourth in the vault finals, a surprising finish in itself. Also, badminton ace Saina Nehwal went to the Games nursing a serious knee injury, for which she underwent surgery after the Games. But other big names like shooter Jitu Rai, who was ranked third in the world in both the 50m pistol and 10m air pistol events, doubles specialist Leander Paes, who lost in the opening round alongside Bopanna, and the men’s hockey team that lost to Belgium in a quarter-final, were unable to deliver when it mattered the most. As difficult as it is to understand, a major country like India doesn’t have a decent sports infrastructure in place outside of cricket. Athletes, therefore, are either forced to make their own arrangements when it comes to training, like Bindra who has his own shooting range, or accept whatever meagre facilities they are provided with. After the Games were over, reports emerged marathon runner OP Jaisha was not provided with water or refreshments by Indian officials despite the designated stations for each country. The Indian officials, in turn, said the runner had refused assistance in the first place. Irrespective of who is telling the truth, the Jaisha incident shows the inefficiency that had plagued India’s sporting establishment, which has resulted in an athlete complaining about a lack of water at the Olympics. The results have been bad but there is no magic potion (I am not talking about performance enhancing drugs) that can ensure a massive improvement at the 2020 Olympics. India couldn't give OP Jaisha water! If India as a country is serious about achieving sporting excellence at the biggest stage, it must draw up a comprehensive plan for tournaments in the medium and long term, invest generously in events where Indians have performed encouragingly and monitor the results without any laxity. If you think that is too much to ask for, just look at Great Britain. At the 1996 Atlanta Olympic Games, Britain had one gold medal. They overhauled their sports funding programme, poured in money from the National Lottery and concentrated on sports that were expected to deliver medals, cutting funding to those which didn’t. It is a ruthlessly efficient system which has seen Britain ending the Rio Games as the second most successful nation with 27 golds. India too should realise there is no short cut to Olympic success and they need to have a clear and long-term plan, backed by substantial funding and under constant scrutiny, to become a sporting nation of repute.